From “one of the most electric writers alive” (The Boston Globe) comes a taut, intricately woven, spine-chilling, reality-warping short novel. Set across five decades, beginning in 1979 and coming to its electrifying conclusion on October 31, 2015. If you are David Mitchell’s follower on Twitter, then you have a good inkling of what this book is about. Last year, from July 14-18, DM posted a short story through a series of tweets. A friend actually pointed me towards them, and my initial reaction was that it had a Black Swan Green feel to it, because of the boy character. Then, I thought maybe DM is going to write a short story collection. [I believe] DM likes conquering genres and styles, so, maybe, a collection is likely possible. As it turned out, I’m not far off. The book is a series of five stories spanning from 1979 to 2015. A small black gate appears every nine years, on Halloween, in Slade Alley; it was peculiarly small that it was so easy to miss. It may take people two sweeps of the alley before they can spot it. The gate, however, opens to a narrow neat garden that leads to the back of an imposing house. Every nine years, guests mysteriously disappear from this house. Most people think this is an accompaniment for The Bone Clocks because the premise resides in the same world of the atemporal. As far as I can tell, this book can hold itself together without reference to its predecessor. Hence, it can be read independently. The stories were told almost playfully with much thrill and excitement, which was (for me) too different from the dense and tight narration of The Bone Clocks. The characters -oh wow. We know DM's talent in picking out characters, giving them traits that linger with the readers, hence, making us invest in them wholeheartedly. Similarly, the characters here were chosen significantly fitted for these stories. It’s not only their purposes that are intriguing but their entire nature, which was succinctly fleshed out. In a way, this is a character-driven plot; which means, if the plot tires you, the characters will surely not. In fact, I cannot help asking “who's next” at the end of each story. What do you do when you're visiting someone's house and their garden starts vanishing? 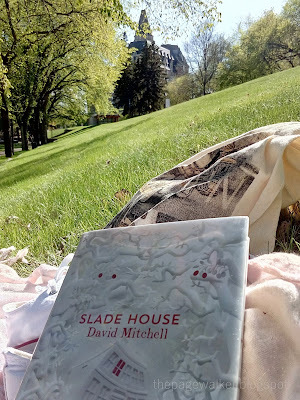 SLADE HOUSE is a short read, but brilliantly plotted. DM’s talent for playing with different timelines is evident here, albeit in a stricter linear pattern. The stories revolved around (only) one location, but uses succession of lifetimes, the next being more curious than the one before it. As much as I don’t want the stories to end, I want to know how the mystery will be solved after 36 years. And I am not disappointed. 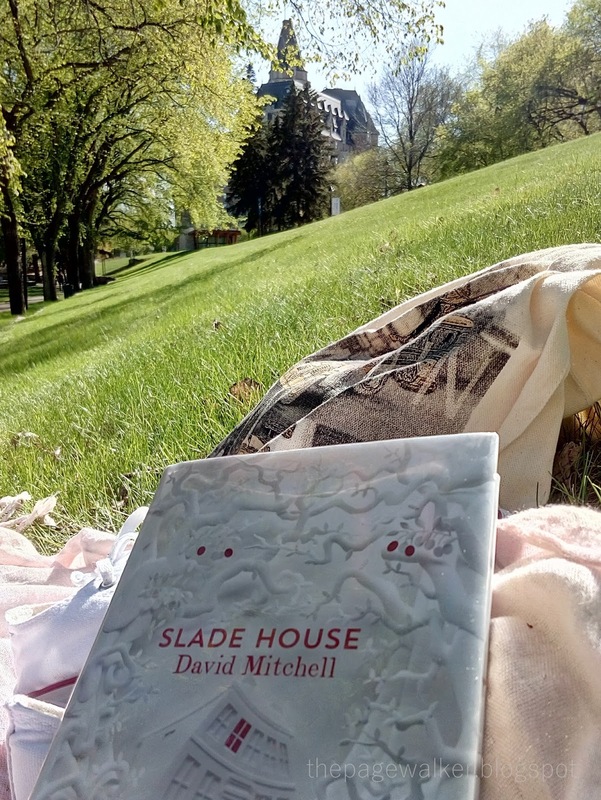 It saddens me, though, knowing that David Mitchell doesn’t write sequels. I highly recommend this. You’ll love the thrill! *Thank you, Random House, for lending me a copy in exchange for this unbiased review. Adding this to my Christmas wishlist!